If Google CEO Larry Page ends up dead for whatever reason in the near future, Elon Musk may end up with a massive multi-billion dollar check in the mail. While giving an interview with Charlie Rose at TED 2014, Page said that the big goals and ideas that Musk has are worth funding and helping out. Elon Musk, the CEO of Tesla and SpaceX, is probably one of the most well-known entrepreneurs currently on the scene. Not only has he revolutionized the electric car market but he has paved the way for privatized space programs. Both of these ventures are important and worthy in Page’s eyes. Although Page may not be serious (maybe he is, we aren’t sure), the point that he is trying to make seems to be that backing companies that think big is a good thing to do. Near the end of his interview with Charlie Rose, Page encourages other companies to invest in these types of projects as well, with the hope that we will see more than just incremental change. In recent years, the amount of futuristic projects that Google has put time and money into has drastically increased. Wearable tech, self-driving cars, and even immortality, are now part of projects being funded with billions of dollars by one of the largest internet-based companies in the world. So, it is no surprise that Page would support other people and companies that are trying to push humanity forward in the same way. 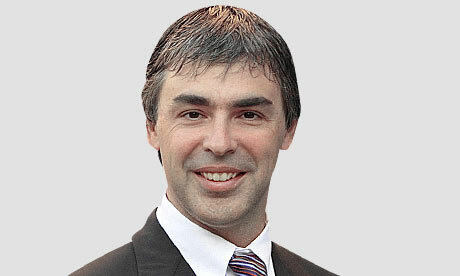 Question – Was Larry Page being realistic with his statement or simply trying to promote the types of goals that Elon Musk has? Summary: Larry Page told interviewer Charlie Rose at TED 2014 that when he dies, he would rather give his billions of dollars to Elon Musk than to charity.